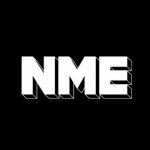 You may have noticed NME’s had a bit of a makeover. Each week you’ll find a different columnist from the music industry – and we’ve got some exciting surprises for you – repping the music they’re into. Pick up the magazine to read what Radio 1 DJ Huw Stephens is spinning at the moment and listen to the tracks below.